Pieces of Eight necklace. Available in Sterling Silver, Gold and Rose Gold. 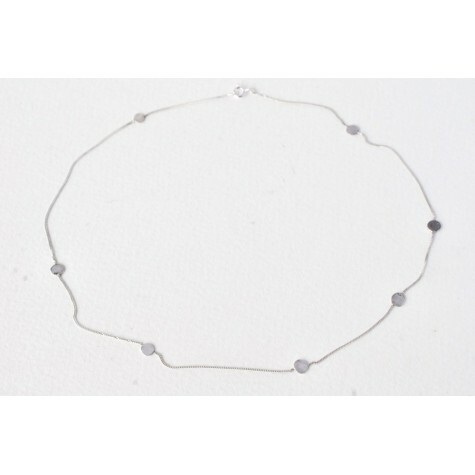 Inspired by old Spanish gold doubloon coins, this is a delicate chain that looks pretty on its own or layered with other necklaces. 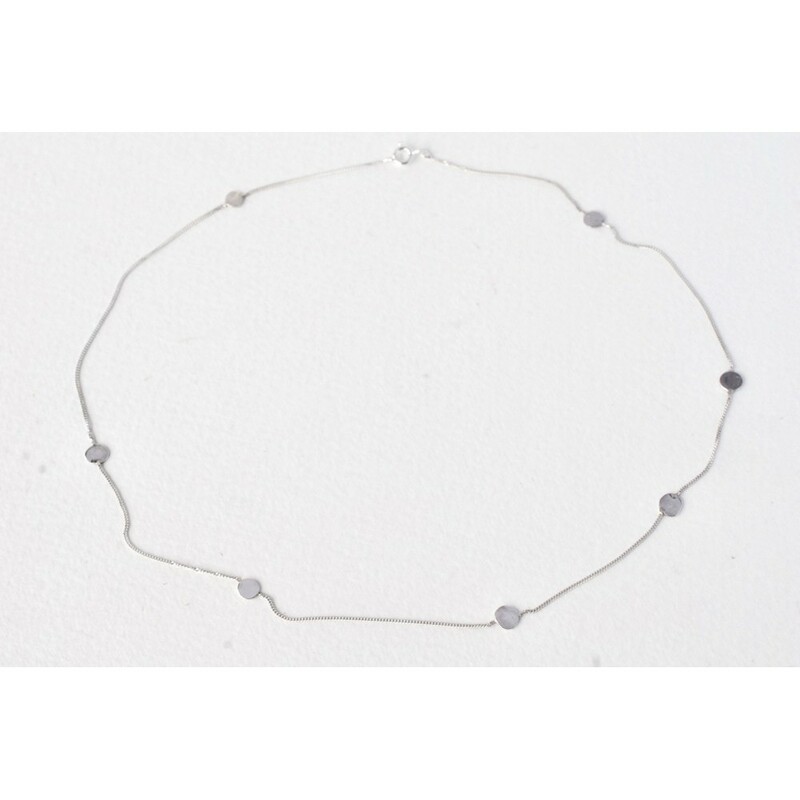 The irregularly shaped silver nuggets are handmade from recycled silver wherever possible and are soldered to the chain. 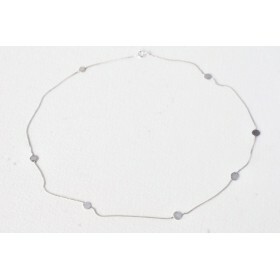 Necklace length is 40cm, sits just below the collar bone.